If you believe what Sharon Springer tells you, she is an environmentalist — a promoter of bike paths, recycling and community gardens. But her City Council campaign in being funded by a pro-development political group that’s been at the center of efforts to roll back regulations on big polluters for the last decade. According to public records, BizFed, a self-described “pro-business” PAC, which helped defeat a ballot measure aimed at curbing development in Los Angeles last month — and whose efforts to block clean air and water protections have been widely-criticized by environmental groups — gave Sharon Springer’s campaign the maximum donation allowed by law on March 15th. Ms. Springer, a member of the Sustainable Burbank Commission, claimed in a recent interview that “improving our air quality, managing scarce water, using energy responsibly, enhancing public and diverse transportation options and moving forward on our zero waste goal” are among her central concerns. Judging from its efforts to block clean air and water protections, BizFed does not share those concerns. According to the LA Times, environmentalists “expressed outrage” over the group’s successful campaign to keep the Southern California Air Quality Management Board from tightening restrictions on trucks and other “mobile polluters” in February of this year. The PAC lobbied to make compliance by polluters voluntary instead of mandatory. The PAC also lobbied the LA County Board of Supervisors to reject the “Clean Water, Clean Beaches” parcel tax measure in 2013. “This is a big victory for the business community,” its website declares. The wave of proposals for mega-development — not just in Burbank but around Southern California –have increasingly put environmentalists and developers (and their supporters in city government) at odds. For example, according to a report by the LA Times, which was released just last week, city officials throughout Southern California have “flouted” warnings from health experts and allowed “a surge in home building near traffic pollution with little regard to the health implications for future residents. And yet, in Los Angeles alone, the Times found that “thousands” of projects within the pollution zone have been green-lighted recently, The newspaper based its analysis on census data, building permits and other government records. 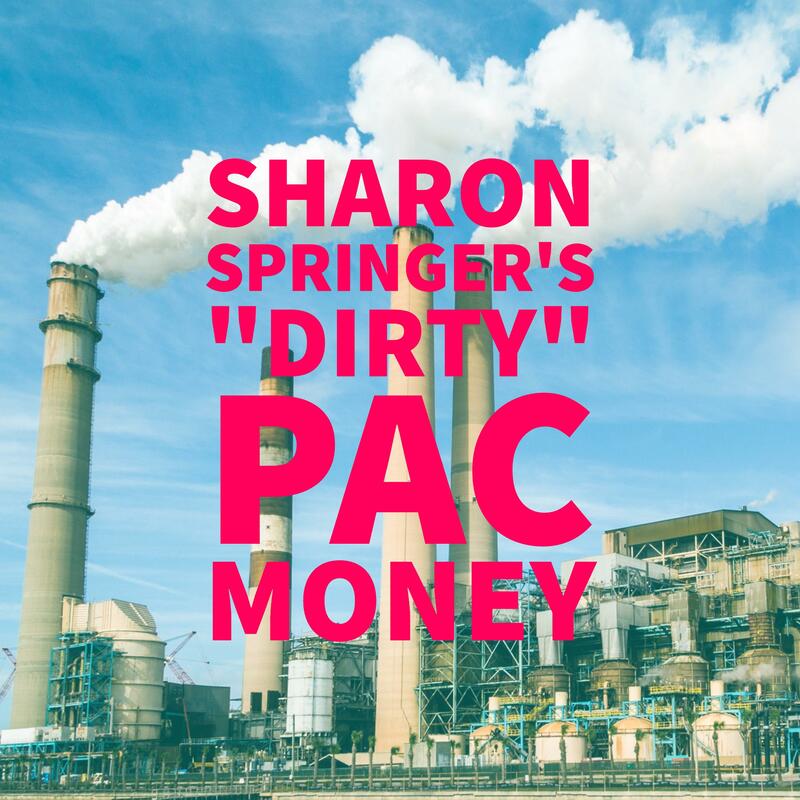 Springer, whose campaign has spent lavishly on multiple campaign mailers, has yet to address or disavow the donation from Biz Fed, despite the obvious inconsistencies between the positions she’s taken to win the support of voters and this organization’s aggressive efforts to uproot environmental regulation and forward a pro-development agenda. In the primary race, Ms. Springer was quick to criticize two of her Council race opponents for receiving an unsolicited campaign donation from a local developer, calling it hypocritical. In that case both candidates refused to accept the monies, citing a potential conflict of interest — and issued public statements explaining their positions. As of this writing, Ms. Springer has not issued a similar statement to the public.